Bug trackers are the least thing that can be deployed to combat chaos in daily IT work. The free Phabricator software provides this service and many others. The open source world offers many project management tools. The classic bug trackers such as Mantis and Trac offer numerous additional features, as well, but they are often outdated. A modern alternative to these programs is Phabricator . Originally developed by Facebook employee Evan Priestley, Phabricator is written in PHP and under active development; in addition to the bug tracker, it provides project management, a wiki, chat, a code review tool, and software repositories with Git, Mercurial, and Subversion, among other services. The focus is on software development, but Phabricator also can be used with other IT projects and be tailored to the specific purposes of a project thanks to its modular structure. Prominent users of Phabricator, in addition to Facebook, include Wikimedia, FreeBSD, and the KDE desktop project. I recommend installing the usual LAMP stack, consisting of Linux, Apache, MySQL (or MariaDB), and PHP. Of course, the individual letters do not necessarily have to be taken literally: Instead of the L (Linux) of LAMP, another Unix system like FreeBSD would work, and Nginx can replace the A (Apache web server). Installing in a subdirectory is not supported; instead, you need to make a separate virtual host available for Phabricator. This vhost also requires a host name with a complete domain. If you use Red Hat-related Linux distributions or Ubuntu, you can use one of the scripts linked to the installation guide, but they do nothing other than what is described here. In addition to MySQL and the web server, PHP and a number of PHP modules must be available on the server (i.e., the php5 , php5-mysql , php5-gd , php5-dev , php5-curl , php-apc , php5- cli , and php5-json packages under Ubuntu). For better performance, install the alternative PHP cache APC, although this is not a mandatory step. At present, Phabricator is not yet compatible with PHP 7 (see the "PHP 5 on Ubuntu 16.04" box). The files may also reside outside the webroot directory. However, you have to specify the Phabricator webroot during configuration of the vhost to ensure that the PHP files are found (Listing 1). 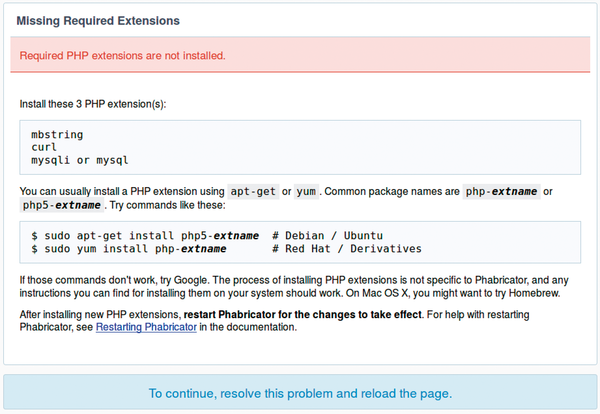 Figure 1: In the event of problems during installation, Phabricator provides useful information. In this step, you need to confirm the application of schema changes twice; otherwise, the whole process should work without any problems. If you now call the Phabricator installation URL, you will see an input box, in which you can create the first user, who will also be the administrator. Figure 2: When you first log in, Phabricator displays the pending problems. If you now log on under the Phabricator URL, you will finally find yourself in the Phabricator GUI, which indicates the pending installation problems in the menubar at the top (Figure 2). It is best to work through each problem individually and apply fixes according to the instructions given by Phabricator. You can also configure many other settings in this area, either for the global Phabricator installation (database, clustering, etc.) or the various applications the software provides. For chat and notifications to work, you still need to configure and start the supplied notification server. Listing 2 shows an example of the configuration section that you insert into phabricator/conf/local/local.json. One of the two host sections is for connecting with the client; the other is for connecting with Phabricator and therefore needs to use localhost as the hostname. On your firewall, you need to allow port 22280 for the client connection. If you run the Phabricator over SSL, which is recommended, you also need to configure the WebSocket server correspondingly. The Phabricator documentation explains how this is done. 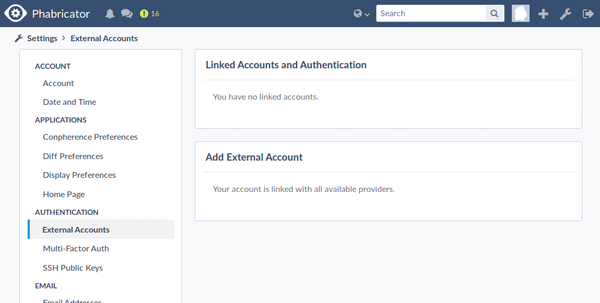 Phabricator can also connect to multiple sites for different purposes, such as for sending email with Mailgun or SendGrid. The options are numerous. Additionally, Phabricator provides an API that lets you integrate the software with your own services. A free TLS certificate from Let's Encrypt means you can add encryption to your network for no cost, so you don't have any more excuses for failing to encrypt. MaxScale by MariaDB is a smart proxy server for MySQL that speaks the same protocol as the database server. The manufacturer claims solid high availability and horizontal scalability. If you really want your evenings to belong to your job, you don't need to depend on configuration management. But is all your overtime really necessary just to configure a server system?